Our hoodies are perfect when there is a chill in the air, and let's face it, when isn't there? Even in the draughtiest corner of the Farkham Hall stable block, which is pretty draughty, I can assure you, one of our hoodies will help keep you nice and warm, while letting you fly the flag at the same time. 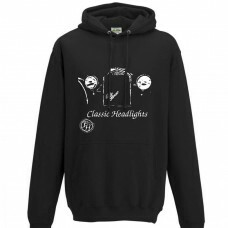 Picking up the popular Alfa Romeo classic headlights design from our teeshirts, this hoodie allows y.. 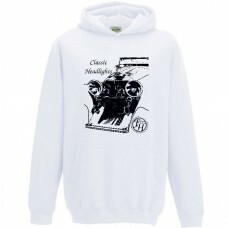 In purest white just like the Squire's thoughts, this hoodie carries the image of classic 1930s Merc.. 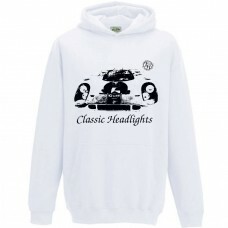 In purest white just like the Squire's thoughts, this hoodie carries the image of classic Gulf Le Ma.. Surprisingly subtle for a Farkham Hall item, this hoodie is heavyweight and warm with an understated..